THE MANY CREATIVE WAYS TO SUPPORT MILAGRO! Honorary and Memorial gifts are a wonderful way to celebrate a friend or loved one and their enthusiasm for theatre, history or education, or to share your love for Milagro. You can do this when you NAME A SEAT or buy a HAND-PAINTED TILE. Can you commit to making a donation each month, quarter or year? Even small recurring donations can add up to big support! On the online donation form, choose the amount of each installment and the frequency of your gift. Create a legacy and make a lasting mark on Milagro by helping to sustain us for generations to come! Whether you have been a long-time supporter of Milagro or you are new to the theatre, your belief in Milagro is what you need to get started. 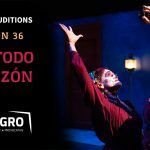 By making a charitable gift to Milagro through your estate, you help ensure that future generations will be able to experience Latino theatre, culture and arts education. By planning now, you not only keep control of your assets during your lifetime, you can also reduce estate taxes. Here are several ways that you can making a lasting impact. Bequests – One of the easiest way to leave a legacy, include Milagro in your will! The donation will be exempt from federal estate tax. This helps the organization for generations to come. Retirement Plans – If you have a retirement plan, whether through your employer or your own Individual Retirement Account (IRA) or 401(k)s, 403(b)s and pension plans, you can select Milagro as a whole or partial beneficiary of the plan. Your donation is exempt from federal estate tax. Life Insurance – Name Milagro as beneficiary on an existing policy or transfer ownership on a policy no longer needed. Life insurance is a wonderful yet often overlooked tool for making a gift. This allows you to make a large gift at little cost, which is also exempt from federal estate tax. Financial Service Products – Perhaps you have certificates of deposit or other accounts at a bank or financial institution. You can select Milagro as the beneficiary of these accounts. Cash Gift – Did you know a cash gift can include transfer of stock? By transferring stock to Milagro, you can maximize deductions and remove taxable assets from your estate. Your consideration of such gifts mean an investment in our future and a chance for you to help carry forth Latino Theatre, Culture and Art Education experiences for the enrichment of all communities. We gratefully acknowledge all such gifts in our Planned Giving Recognition Society. Contact: Development at 503-236-7253 for more information about Planning Giving. We appreciate your donation of goods or services. Donate on-line, or pay by mail. Send the payment to: Milagro, 425 SE 6th, Portland, OR 97214. For information on any of the Giving Opportunities above, please call our offices at 503-236-7253. Thank you!